"To die from heart attack is both unnecessary and tragic. 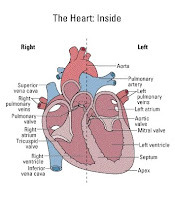 Information is now readily available explaining how heart disease can be prevented and reversed with simple inexpensive nutritional supplements at home. One need only read the information, and the evidence is overwhelming. There is no need for expensive drugs, cath labs or bypass operations. A simple combination of Vitamin C, Lysine, and the Tocotrienol Form of Vitamin E is sufficient to prevent and reverse heart disease." Learn about the health benefits of modest daily amounts of vitamin E. Learn about the difference between natural and synthetic vitamin E and learn about the misinformation designed to discredit this natural health wonder. Please go here for Dr Dach's dissertation: "Vitamin E, Curse or Blessing?"